This soft, warm bread pudding from Andrew Zimmern is super-chocolatey and rich—a perfect match with vanilla or coffee ice cream. 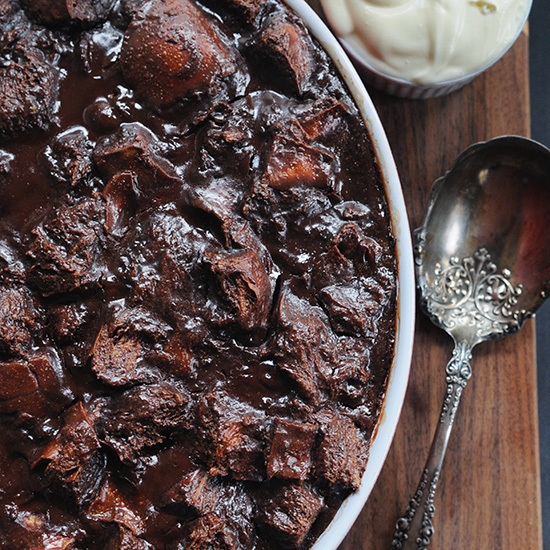 This warm, rich and chocolatey bread pudding from Andrew Zimmern is a great crowd-pleasing dessert for the Holiday season. It’s winter and you need a dessert like this in your repertoire for the holidays. Go ahead, you know you want this. I don’t think there’s anything more I can add. Get the recipe.